Humphrey recorded three tackles (all solo) and two passes defensed, including an interception, in Saturday's win over the Chargers. Analysis: Humphrey has had a solid two weeks, recording six passes defensed and two interceptions in the last two games. He's peaking at the right time along with the rest of the Ravens' defense, which has propelled the team to five wins in six weeks. Humphrey will look to finish off the regular season strong against the Browns in Week 17. Humphrey recorded two tackles (both solo) and four passes defensed, including an interception, in Sunday's win over Tampa Bay. Analysis: Humphrey's four passes defensed marked a new career high, and his interception was his first of the season. On the year, he has 31 tackles (25 solo) and 12 passes defensed, including the one interception. He'll look to build off his strong performance in Week 16 when the Ravens take on the Chargers. Humphrey (groin) is questionable for Sunday's game against the Buccaneers. Analysis: Humphrey's only practice of the week came in a limited session Friday to earn the questionable tag. The 22-year-old battled through the injury last Sunday against the Chiefs after practicing similarly last week, so he still has a solid chance of facing the Buccaneers. Humphrey (groin) did not practice Wednesday. Analysis: Humphrey's absence from the practice doesn't help the prospects of him playing in Sunday's game, but there are still a few days before any such decision needs to be made. The veteran played through the groin issue in last week's contest, so perhaps the Ravens viewed Wednesday as a good opportunity to provide Humphrey with some valuable rest. Humphrey (groin) is active for Sunday's contest against the Chiefs, Jamison Hensley of ESPN.com reports. Analysis: Humphrey was limited at practice Friday after being held out earlier in the week. He'll figure to operate as the primary backup at right cornerback behind Jimmy Smith once again. Humphrey (groin) is listed as questionable for Sunday's game against the Chiefs. Analysis: Humphrey didn't practice Wednesday or Thursday, but he was able to end the week with a limited practice Friday. 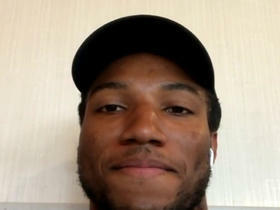 Despite the missed practices, coach John Harbaugh expects Humphrey to play, according to Jeff Zrebiec of The Athletic. If Humphrey endures any unexpected setbacks Sunday, Anthony Averett would likely serve as the main backup behind Jimmy Smith. Analysis: Humphrey appears to have picked up a groin injury during Sunday's win over the Falcons. 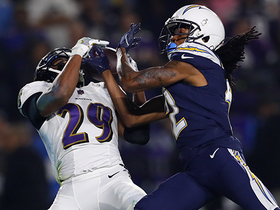 If the 2017 first-round pick were to miss any time, Anthony Averett would serve as the top backup to starting cornerback Jimmy Smith. Humphrey (thigh) is active for Sunday's game versus the Steelers, Jamison Hensley of ESPN.com reports. Analysis: Humphrey will likely log a hefty workload against the division rival. The 2017 first-round pick has 20 tackles and three pass breakups so far this year, and he'll be tasked with slowing down Antonio Brown and JuJu Smith-Schuster. Humphrey (thigh) is listed as questionable for Sunday's game versus the Steelers. Analysis: Humphrey was a limited participant both Thursday and Friday, which is a boost from his status the previous week when he was ultimately inactive. The 2017 first-round pick has been logging a full workload this year and has 20 tackles (17 solo) and three pass breakups through six games. If he can't go, expect Anthony Averett to see an uptick in usage. Humphrey (thigh) was a limited participant in Thursday's practice, Jamison Hensley of ESPN.com reports. Analysis: Humphrey was unable to practice to begin the week, so his limited participation is a step in the right direction. The second-year pro did not play during last week's loss to the Saints, and he should be considered questionable for Sunday's game against the Steelers. If Humphrey is unable to go, Anthony Averett will serve as the top backup to starter Jimmy Smith. Humphrey (thigh) is inactive for Sunday's game against New Orleans. Analysis: Humphrey's inactive status leaves the Ravens somewhat shorthanded defensively with five inactive players in the secondary. It's too early to speculate on Humphrey's availability for Week 8, but next week's practice report should provide more clarity. Humphrey (thigh) is questionable for Sunday's game against the Saints. Analysis: Humphrey was a non-participant in Friday's practice after being added to Baltimore's injury report in the middle of the week. The nature and severity of the depth cornerback's injury remain unclear, and Humphrey should still be considered questionable for Sunday's game. Humphrey was a limited participant in Thursday's practice due to a hamstring injury. Analysis: It's unclear exactly when Humphrey picked up the injury or its severity, so it's hard to say if it will impact his chances of playing this weekend. Look for one final update on Humphrey's status following Friday's practice, but he should be considered questionable for now. 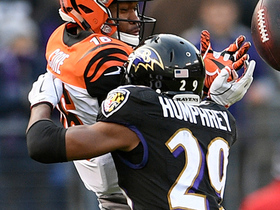 Humphrey is no longer facing felony robbery charges, ESPN.com's Jamison Hensley reports. Humphrey was arrested Thursday in Tuscaloosa, Ala. on a felony third-degree robbery charge, Michael Casagrande of AL.com reports. 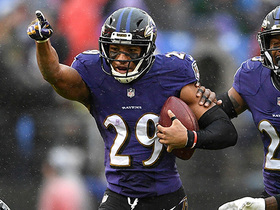 Humphrey is expected to retain a starting role at cornerback the rest of the season after Jimmy Smith suffered a torn Achilles in Sunday's 44-20 win over the Lions, Jamison Hensley of ESPN.com reports. Analysis: Smith, who is also scheduled to begin serving a four-game suspension Week 14 against the Steelers, is expected to undergo season-ending surgery and head to injured reserve later this week. Humphrey, a rookie first-round pick out of Alabama, replaced the veteran in Sunday's contest, finishing with a career-high seven tackles and his second interception of the season in the victory. Humphrey (thigh) is active for Sunday's matchup with Detroit. Analysis: Humphrey was limited in practice throughout the week due to his thigh injury, leading to his questionable tag entering Sunday's game. He's played in 36 percent of the team's defensive snaps to this point of the season and will likely continue to see a similar role. 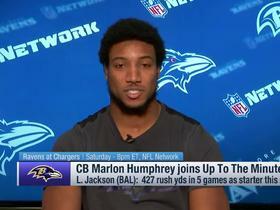 Baltimore Ravens cornerback Marlon Humphrey talks about what else rookie quarterback Lamar Jackson can do and the Week 16 game vs. Los Angeles Chargers means. 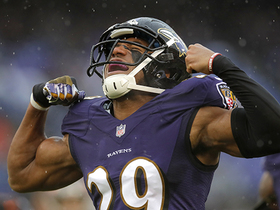 Baltimore Ravens cornerback Marlon Humphrey had a big game against the Tampa Bay Buccaneers in Week 15 of the 2018 NFL season. 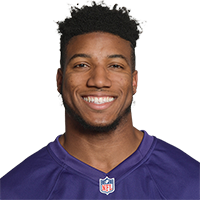 Baltimore Ravens cornerback Marlon Humphrey intercepts underthrown Jameis Winston pass. 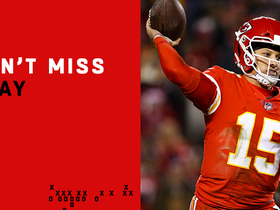 Kansas City Chiefs quarterback Patrick Mahomes uses no-look pass to hit wide receiver Demarcus Robinson for 17 yards. 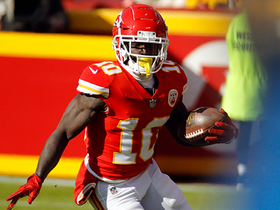 Kansas Chiefs wide receiver Tyreek Hill weaves for wild third-and-long conversion. 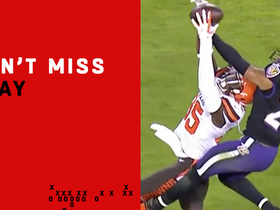 Baltimore Ravens defensive back Marlon Humphrey DENIES Andy Dalton's fourth-down pass attempt. 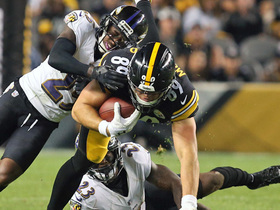 Pittsburgh Steelers tight end Vance McDonald REFUSES to go down on 33-yard catch.